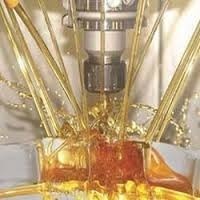 Offering you a complete choice of products which include neat cutting oil. Our vast domain knowledge of Proceesor in premium array of Cutting Oils has enabled us to present Neat Cutting Oil 18 that is designed for a large array of operations including cutting, grinding, turning, milling, broaching, tapping and drilling. It is highly regarded for its ability of cooling and lubricating. It ensures impeccable surface finish of the components that are being worked on and also extends life of tools. It is offered at reasonable prices. Looking for Neat Cutting Oil ?